It’s necessary to see the dentist at least twice a year, but with busy schedules it can be difficult to find the time. Dr. Arguello and staff understand how valuable your time is, which is why we always try to schedule your appointment with your convenience in mind. When you visit our office you will be immediately greeted by our friendly and helpful staff. We will promptly check you in, ensure that your paperwork is complete, and offer you a seat until it is time for your appointment. At Arguello Dentistry, we provide state-of-the-art treatments in a contemporary, compassionate, patient-focused environment. Please don’t hesitate to ask for a tour of our impressive facility and we hope you will visit us soon to experience our comprehensive yet gentle dental care. Understanding how dental insurance works can be a challenge at times for patients. We have included some basic information and facts about dental insurance that may be useful to you in navigating the claims submission process. Deductible – The amount of money that you must pay to your dentist out-of-pocket before your insurance company will pay for any services. This amount is set by your employer when purchasing or setting up the plan as a benefit. Explanation of Benefits (EOB) – This is a document prepared by the dental insurance company and issued to the patients and dentist. It explains how the insurance company has adjudicated the claim that was submitted for services provided to the patient. Missing Tooth Clause – Protects the insurance company from paying for the replacement of a tooth that was missing before the policy was in effect. Replacement Clause – Protects the insurance company from paying to replace dentures, partials, bridges, etc., until a specified time limit has passed. Waiting Period – The length of time an insurance company will make you wait after you are covered before they will pay for certain procedures. Yearly Maximum – The total amount that your insurance company will pay for any services during the plan year. The yearly maximum renews every year, typically on January 1, but your employer may have set a different date. Assign your insurance benefit to Arguello Dentistry so we can file your claims on your behalf. We will provide you with an estimate of your patient portion based on information you provide to us. Every insurance plan provides different levels of benefits based on the coverage your employer has provided. We will ask for your estimated patient portion at the time of the appointment. For your convenience, we accept cash, debit card, or major credit card (Visa, MasterCard, Discover,) and flexible payment options. Arguello Dentistry is pleased to announce that we are now an in-network, preferred provider for Delta Dental Premier &MetLife. In addition, our practice accepts most dental insurance programs, including non-managed care, indemnity (traditional), and PPO out-of-network. As a service to our valued patients, our accounting staff will prepare all the necessary forms for you to receive your dental benefits. . However, we remind you that your specific policy is an agreement between you and your insurance company but as a courtesy we bill the insurance company for you. Our staff as a courtesy will gladly submit a pre-treatment estimate to your insurance company so that you will be assured of your coverage and benefits ahead of time. It should be noted that the patient is held responsible for their total obligation should their insurance benefits result in less coverage than anticipated. Please also be aware that some insurance companies take care of claims promptly while others delay payments for several months. 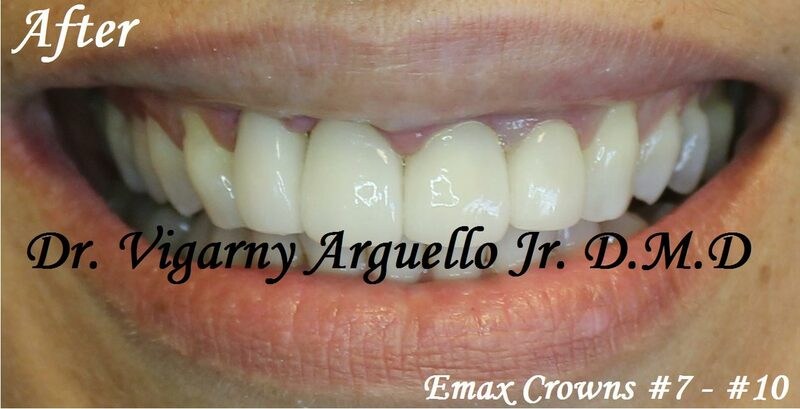 We can help give you the smile you have always wanted by making it more affordable. Springstone Patient : Financing offers payment plans for elective medical and dental procedures. Payments are affordable through an easy online process and no hidden fees. Learn more at springstoneplan.com. CareCredit: helps you get the treatment started right away, and provides payment options that make the most sense to you. CareCredit is a healthcare credit card that can be used for dental care, cosmetic treatments, even trips to the veterinarian. You can even use it for co-pays and deductibles. Learn more at www.carecredit.com. Please contact our office to arrange your consultation and we will develop a treatment plan tailored to your specific dental needs. After your treatment plan has been finalized and fees have been determined, you can apply for financing. Payment is expected at the time services are performed, however, if more extensive dental care is necessary, financial arrangements can be made with our office.